It’s exciting times here at Howards Motor Group. With summer just around the corner and a flurry of new models arriving at our franchises, there’s never been a better time to find your next car with us. To add to this, we are pleased to announce that our new Used Car Centre will be opening in Yeovil on Saturday 16th May. The Used Car Centre will stock all cars that have been sourced from part-exchanges at any of our main dealerships in Dorchester, Weston Super Mare, Taunton and Yeovil. If we don’t have a main dealer franchise for a particular car, we’ll be making sure it is kept within our Group and available to buy at a great price at our Used Car Centre. If you’re looking for a quality used car from a name you can trust, we’re confident you’ll find our Used Car Centre the place to be! We’ll have a great range of cars with the friendly Howards customer service to boot. As a leading franchised motor group, we are able to offer this ‘Every Car’ promise unlike many independent garages, so you can be sure we’re dedicated to bringing you a great range of used cars at great prices. The grand opening of our Used Car Centre will be an exciting day – we have Breeze Radio popping down to the site for a few hours, with hair braiding and face painting fun for the kids (and adults), plus we’ll have a BBQ and goody bags for every attendee! 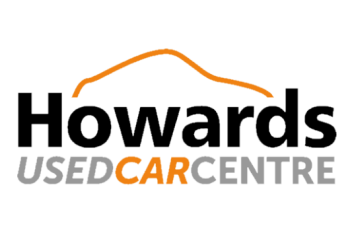 We’d love to welcome all Howards customers – old and new – to join in our exciting launch of the Howards Used Car Centre in Yeovil this weekend. Don’t forget to tweet or share your picture of the day with us on Twitter / Facebook!